The Rachio 8ZULW-B-PRO is a smart sprinkler controller for up to 8 zones. 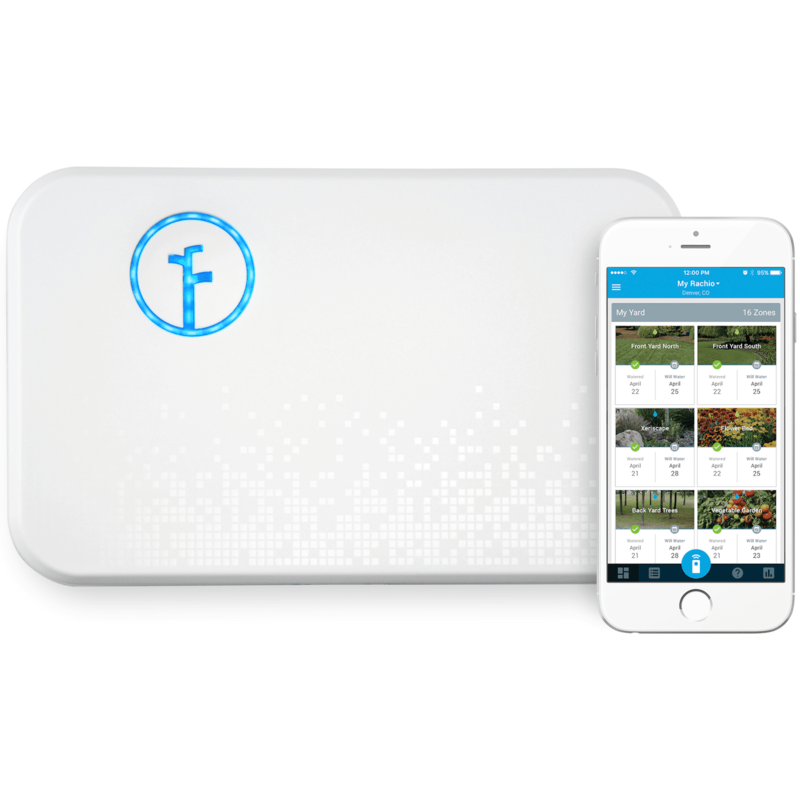 Adjust your sprinkler system from anywhere with the Rachio smart sprinkler controller and Alarm.com. This 8ZULW-B-PRO controller lets you monitor and manage your sprinkler activity from any Android or iOS device or laptop. Install the Rachio Controller, connect the system to Wi-Fi and configure schedules and zones in the Rachio app before adding Rachio to an Alarm.com account. Adjustments are automatically made based on local weather and the season. Get constant updates that help save water with the Rachio smart sprinkler controller. Connects via wifi. App Compatibility: iOS 9.0+ and Android 4.0+. Web also available on most browsers. Mobile app is required to connect the controller to Wi-Fi. Terminal Current Sensors: Smart wire terminals sense which zones are active, and provide feedback if your irrigation system might have a problem. Master Valve: Supports master valve/pump relay. Power Disruption: In the event of Wi-Fi outage or intermittency, the controllers memory retains the last saved schedule received from the Rachio cloud and maintains the schedule until an update can be downloaded. Outdoor Enclosure: Custom outdoor enclosure is available (optional). Enclosure is weatherproof and allows for hardwiring.